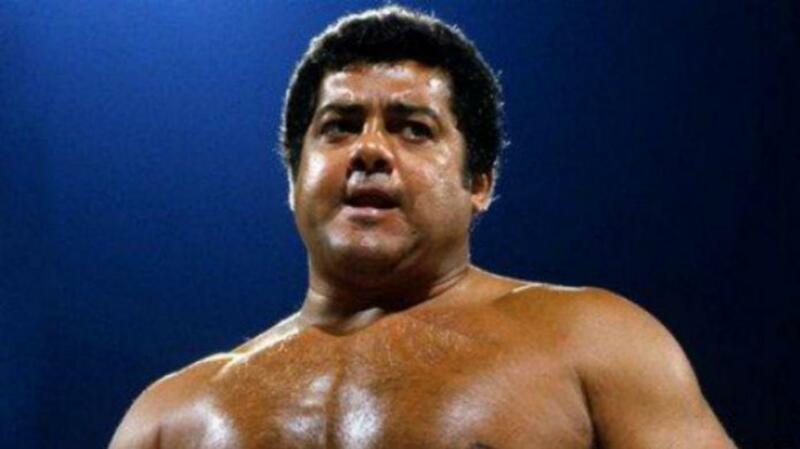 In a career that spanned almost three decades, Pedro Morales was more than just a WWE Hall of Famer with more than a dozen titles to his name. Shaped in the territories and the beginnings of sports entertainment, Morales stood out as a trailblazer and a pioneer for generations of professional wrestlers. Morales began his career at a time when wrestlers built their personas around ethnicity. As a proud Puerto Rican, Morales was wildly popular in Latino communities for the fire and pride that he brought to the ring, along with the multiple championships he won in his 28-year career as an active professional wrestler. Morales was the first Latino professional wrestler to win the World Heavyweight Championship and holds the record for the longest reign as Intercontinental Champion. Billed at 5’10” and around 240 pounds, Morales was a gritty old-school wrestler who went toe-to-toe with the titans of his day, from John Tolos to Stan “The Man” Stasiak, and even teamed with the legendary Andre the Giant toward the end of his career. As a self-professed “old school” wrestler, Morales made his name by dominating opponents all over the world with technical wrestling and an unmistakable brand of Latino fire that endeared him to millions of fans. While a stalwart of the territories, Morales was one of the pioneers of what we would now know as World Wrestling Entertainment. Morales mostly kept a low profile—aside from color commentary—upon his retirement in the late 1980s. Yet that illustrious legacy continued to cast a great light upon the industry for decades afterward. In his Hall of Fame career, Morales won around 30 titles, and was modern pro wrestling’s first Triple Crown champion. Morales’s lasting influence in the squared circle also inspired the careers of countless wrestlers who turned to his matches and career as an inspiration for their own journeys. Just this morning, Pedro Morales—WWE Hall of Famer, former world champion, and wrestling’s first Triple Crown champion—passed on at the age of 76. He is survived by his wife Karen and his son, Pedro Morales, Jr.
Marck Rimorin (@marocharim) is an advertising professional, writer, bookworm, and overthinker. While a lifelong WWE fan, he also watches puroresu, lucha libre, and old clips of European wrestling. When not caught up in reading, making brand communications, or eating waybread under the shade of mallorn trees, Marck writes the overthink piece for Smark Henry: The Word on the Rings.